I just love this color! 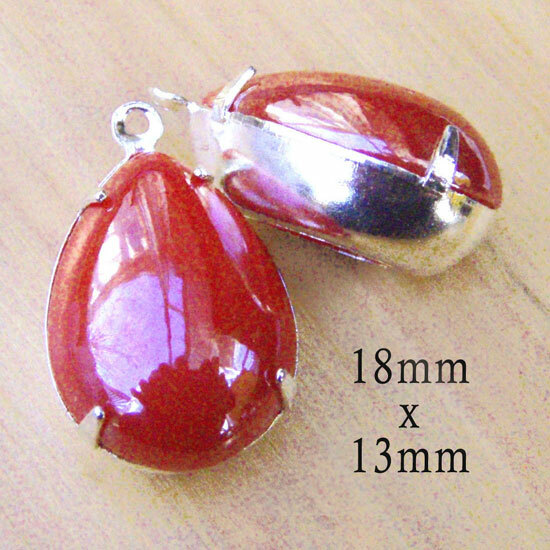 These glass teardrop beads are red. Yes. But “red” covers a lot of territory. Coral red. Lipstick red – which is really a color “name” they use a lot and isn’t it funny? Because I mean – which lipstick? But anyway. Crimson. Ruby. Apple red. Then I figured it out: these are raspberry red. Definitely red, with just an under hint of… blue, maybe. But really red, all the same. 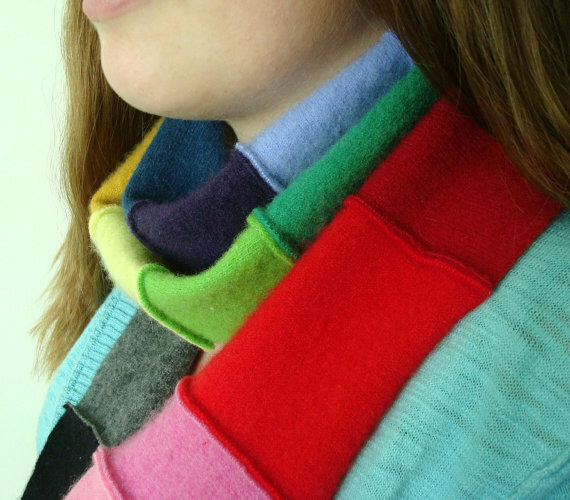 Now this scarf is beautiful and I love the colors – but really, she had me at “recycled” and “cashmere”. My favorite thing – recycled, reused, smart choices – and then: cashmere. This is to love. It’s available from WormeWoole – Eco Chic Accessories shop on Etsy and the artist / maker / owner Sara has a shop full of yummy recycled and repurposed treasures. You can request your favorite colors, or find accessories for your house or for gifts. And may I repeat? Recycled. And cashmere. Love! Weight Watchers – and letting girls down. I am probably blowing this all out of proportion but I just feel like it needs to be said. Every time I see the latest Weight Watchers commercial it makes me mad enough to spit. First part of the commercial is set decades ago, 1960s I assume. It shows a young girl telling somebody about how people are going to live on the moon, and do all kinds of great things. “You can do anything,” says the commercial. Yay! That’s a great message to share. Second half of the commercial is present day. And the voiceover says yes, you really can do whatever you dream. Why, using Weight Watchers, you really can lose weight! They are comparing the dream of going to the moon and doing great things – to LOSING WEIGHT? What kind of message are we sending to little girls – or big girls – today? That losing weight and looking good, is the really Big Dream? Yes, being healthy and fit is important. But so are dreams, and living in a better world, and looking to the future. Somehow I don’t think they’re talking about any of that. Sorry. It really makes me mad. If I misinterpreted it, I’ll apologize. But if I didn’t, maybe somebody owes US an apology. P.S. Later that night… I really hope I got it wrong. Will post again when I see the commercial next time. Weight Watchers is a good organization and they help a lot of people. I’ll get back to you!